Heat up your next outdoor gathering with this Krylon® High Heat Max Fire Pit project. Prep surface by sanding any rough areas. If there are areas with flaking rust, using a wire brush to remove it. Thoroughly clean the grill and lid with an all purpose cleaner/degreaser, making sure that there are no remnant of grease or drippings from food on the surface. Rinse with water and allow to dry. Tape off handles, grilling grate, and any other surfaces that you do not want to paint. 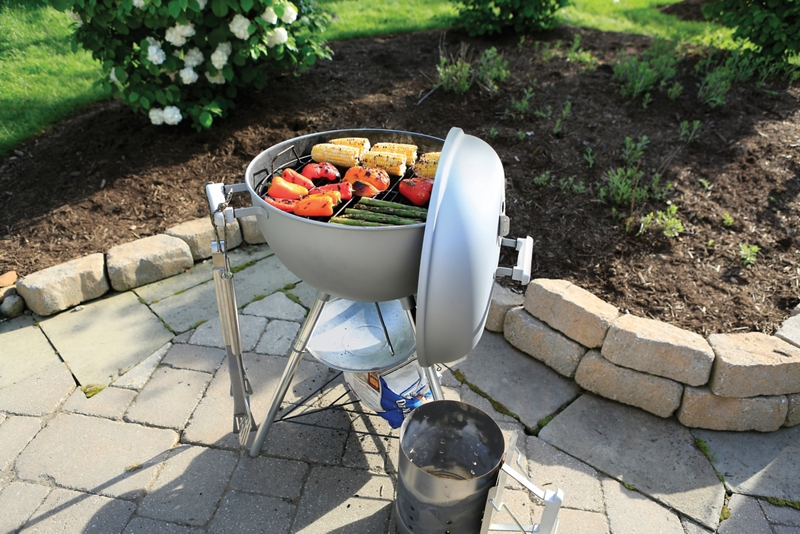 Remove the lid from the grill, painting the items separately. Holding the can of Krylon® High Heat Max Aluminum 6-8 inches from the surface, begin painting using a sweeping side-to-side motion with slight overlap. NOTE: Do not apply paint to the inside of the grill lid, to the inside base if it is a charcoal grill, or onto the grill grate on which food is placed. Krylon® High Heat Max dries to the touch in 10 minutes and to handle in about an hour.